1. The Reserve Bank has indicated that it will begin to increase the OCR (Official Cash Rate) this year. Most economists are expecting the OCR to rise a quarter of a percentage point on March 13. Confirmed. True to it’s word and as clearly signalled, on 13 March the Reserve Bank raised the Official Cash Rate (OCR) from 2.5% to 2.75%. 2. An increase in the OCR will inevitably flow through to mortgage rates, increasing repayments. As mortgaged home owners pay more in repayments, this will impact on discretionary spending; reducing consumer activity, and flow through to lower business turn-over. Confirmed. The ANZ Bank has already announced it will increase its floating and flexible home loan rates .25 percentage points to 5.99% on 17 March. Expect other banks to follow suit. Other bank rate rises will be signalled here. This will inevitably dampen consumer spending and reduce economic activity. 3. An increase in the OCR will inevitably also mean a higher dollar, as currency speculators rush to buy the Kiwi. Whilst this may be good for importers – it is not so good for exporters. The New Zealand dollar jumped to a five-month high after the Reserve Bank raised the benchmark interest rate as expected and signalled further hikes are on the way. For a nation that bases it’s economy on exporting, a rising Kiwi Dollar will bring inevitable problems of higher debt and greater trade imbalance. It means we are not paying our way in the world and inevitably there will be a “Crunch Day” of tragi-Greek proportions. On that day, the public will blame politicians. Politicians will blame each other. And the Left will shake it’s head in exasperation – it’s admonitions that this was all predictable as a natural consequence of unconstrained consumerism coupled with rampant capitalism – lost in the shrill clamour of pointless blame-gaming. As BERL economist, Ganesh Nana, said on The Nation on 15 March, we’ve been down this road before and not learned a single lesson from these experiences. 4. As economic activity and consumer demand falls, expect businesses not to hire more staff and for fresh redundancies to add to the unemployment rate. Unemployment will either stay steady later this year, or even increase. 5. As interest rates rise, in tandem with the Reserve Bank’s policy on restricting low-home deposits, expect home ownership to fall even further. This will increase demand for rentals, which, in turn will push up rents. Higher rents will also dampen consumer spending. Expect home ownership levels to fall even further as interest rates rise further; rents increase (thereby making it harder for low income families to save); and mortgagee sales to rise as well. “Why, after eight years of Labour, are we paying the second-highest interest rates in the developed world? It seems that Mr Key should now begin to be answering his own questions. 6. As the global economy picks up and demand for oil increases, expect petrol prices to increase. This will have a flow-through effect within our local economy; higher fuel prices will lead to higher prices for consumer goods and services. This, in turn, will force the Reserve Bank to ratchet up interest rates (the OCR) even further. Whilst fuel prices remained steady during the worst of the GFC, they have begun edging upward again as the global economy improves and demand for energy grows. Our high Kiwi Dollar will mitigate the worst of rising crude-oil prices – but only temporarily. Once other Central Banks begin to rise their OCRs, expect the value of the Kiwi Dollar to fall as speculators sell the Kiwi in preference to harder currencies. This will be good for exporters. But will be a negative impact on imports – such as oil. Prices will rise as the Kiwi Dollar falls. Count on it. 7. 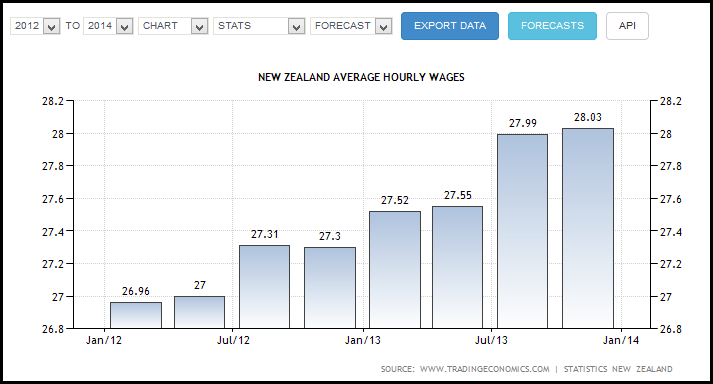 As businesses face ongoing pressures (described above), there will be continuing pressure to dampen down wage increases (except for a minority of job skills, in the Christchurch area). For many businesses, the choice they offer their staff will be stark; pay rise or redundancies? 8. 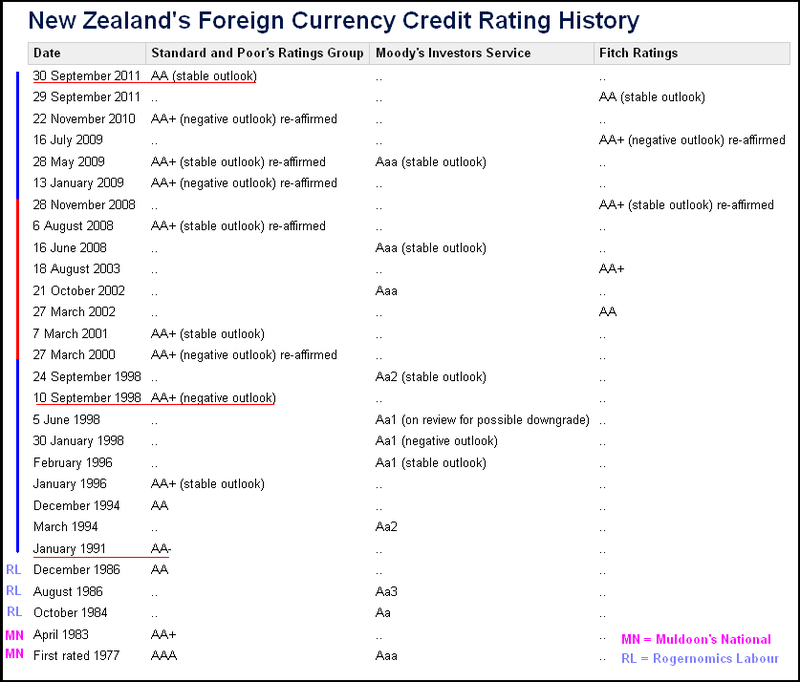 Expect one or more credit rating agencies (Fitch, Moodies, Standard and Poors) to put New Zealand on a negative credit watch. 9. According to a recent (21 February) Roy Morgan poll, 42% of respondents still considered the economy their main priority of concern. 21% considered social issues as their main concern.This should serve as a stark warning to National that people will “vote with their hip wallets or purses” and if a significant number of voters believe that they are not benefitting from any supposed economic recovery, they will be grumpy voters that walk into the ballot booth. Home owners paying 7% to 8% on their mortgage will not be happy-chappies and chapettes. They will be grumpy. The 2009 and 2010 tax cuts will be a dim memory and any attempt by Key to remind voters of those cuts will not be warmly received. Especially as any minute gain for workers was more than swallowed up by the rise in GST, ACC, government user-pays charges, and now their mortgages and rents. If only a small percentage of grumpy voters change their voting away from National (or stay home) – that will mean a critical drop in support for a right-wing bloc. One or two percentage points is all that is required to change the government. “The Crown’s operating balance before gains and losses (obegal) was a deficit of $1.79 billion in the six months ended December 31, $380 million wider than forecast in its Dec. 17 half-year economic and fiscal update, and down from a shortfall of $3.19 billion a year earlier. Core tax revenue was $602 million below forecast at $29.18 billion. As I wrote on 1 March, should National fail in that single-minded obsession, the public will not take kindly to any excuses from Key, English, et al. Not when tax payer’s money has been sprayed around with largesse by way of corporate welfarism. Throwing millions at Rio Tinto, Warner Bros, China Southern Airlines, Canterbury Finance, etc, will be hard to justify when National has to borrow further to balance the books. Any economic “recovery” is fragile; dependent on overseas factors; and will bring new problems. Little wonder that Key brought the election date forward by two months. Mortgage rates by the end of the year will be nudging 7%. Not much of a Christmas present for New Zealanders. As such, Labour must begin to attack Key’s government in this area. This will be a grand opportunity for the Left to finally drive a stake through the “heart” of National’s undeserved reputation as being a “responsible economic manager”. 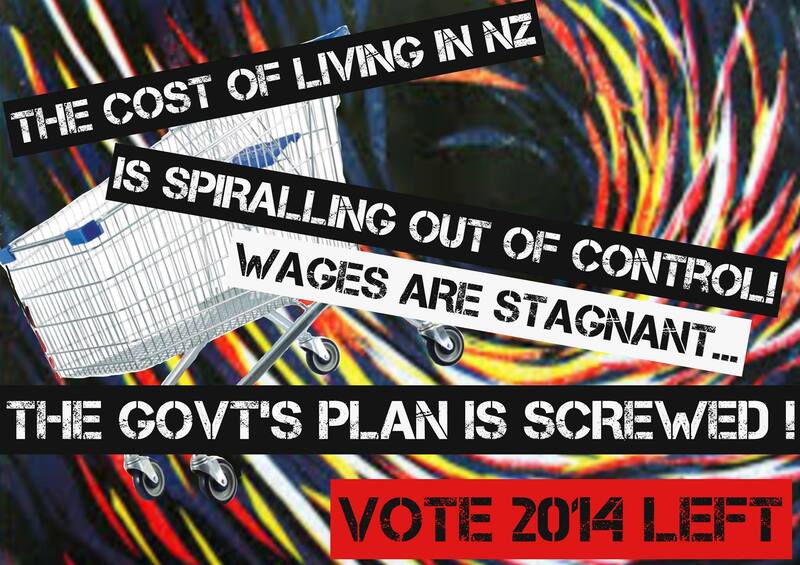 National remains utterly vulnerable during this year’s election. A recent Fairfax Media-Ipsos poll put National on 49.4% versus 31.8% and 10% respectively for Labour and the Greens. The latest Roy Morgan Poll had National at 48%, compared to 30% and 12% for Labour and the Greens respectively. Annual average economic growth was 2.6% to September 2013. The Household Labour Force Survey for the December 2013 Quarter showed a drop in unemployment, from 6.2% to 6%. Dairy prices (and thusly export reciepts) continued to rise. The trade deficit continued to slowly improve. And there was just enough ambiguity around recent child poverty statistics to allow National, and its drooling sycophants, to claim that it was no longer a growing problem (it was simply a constant problem). However, is everything as it really seems? Is the news all rosy and are we rushing head-first toward the “promised land“, the much heralded, Neo-liberal Nirvana? Or, are dark clouds beginning to appear on the horizon? The Canterbury rebuild is expected to be a significant driver of economic growth over the next five to ten years. The timing and speed of the rebuild is uncertain, in part due to ongoing aftershocks, but the New Zealand Treasury expects it to commence around mid-to-late 2012. As predicted, the ASB/Main Report Regional Economic Scoreboard recently revealed that Canterbury had over-taken Auckland as the country’s main center for economic growth. Meanwhile, the same report outlines that Auckland’s “growth” is predicated on rising house prices. Economic “growth” based on property speculation is not growth – it is a bubble waiting to burst. Being mostly an exporter of commodities (meat, dairy products, unprocessed timber, etc), New Zealand cannot but help ride the wave of an upturn in the global economy as increasing economic activity creates a demand for our products. 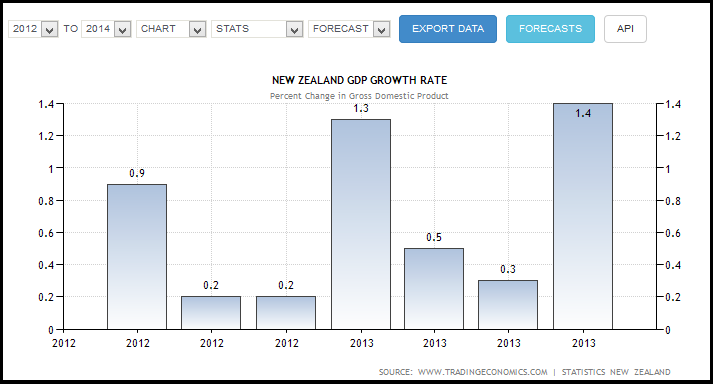 Any economic recovery, as such, has little to do with the incumbent government – just as the incumbent governments in 2008 and 2009 had little to do with the GFC and resulting recession (though National’s tax cuts in 2009 and 2010 were irresponsible in the extreme, reliant as they were on heavy borrowings from overseas). We are simply “riding the economic wave”. 1. The Reserve Bank has indicated that it will begin to increase the OCR (Official Cash Rate) this year. Wheeler said in early December he expected to raise the OCR by 2.25% by early 2016, which would lift variable mortgage rates to around 8% by then. The bank forecast interest rate rises of around 1% this year and a similar amount next year. 2. An increase in the OCR will inevitably flow through to mortgage rates, increasing repayments. As mortgaged home owners pay more in repayments, this will impact on discretionary spending; reducing consumer activity, and flow through to lower business turn-over. Even the fear-threat of higher mortgage interest rates may already be pushing home owners to lock-in fixed mortgages. Kiwibank for example, currently has a Fixed Five year rate at 6.9%. ANZ has a five year rate at 7.2%. Expect these rates to rise after March. New Zealand consumer confidence fell from its highest level in seven years this month, while remaining elevated, amid a pickup in inflation expectations and the prospect of interest rate increases. The smaller tax take was across the board, with GST 2.3 per cent below forecast at $7.5 billion, source deductions for personal income tax 1.2 per cent below forecast at $11.71 billion, and total corporate tax 4.9 per cent below expectations at $3.56 billion. A drop in GST would be utterly predictable if consumer spending was falling. Less wages equals less spent in the economy and less PAYE and GST collected by the government. This would also account for the drop in corporate tax take falling by 4.9%. The effect of the Reserve Bank’s decision to begin raising interest rates will be to dampen economic activity and consumer demand. 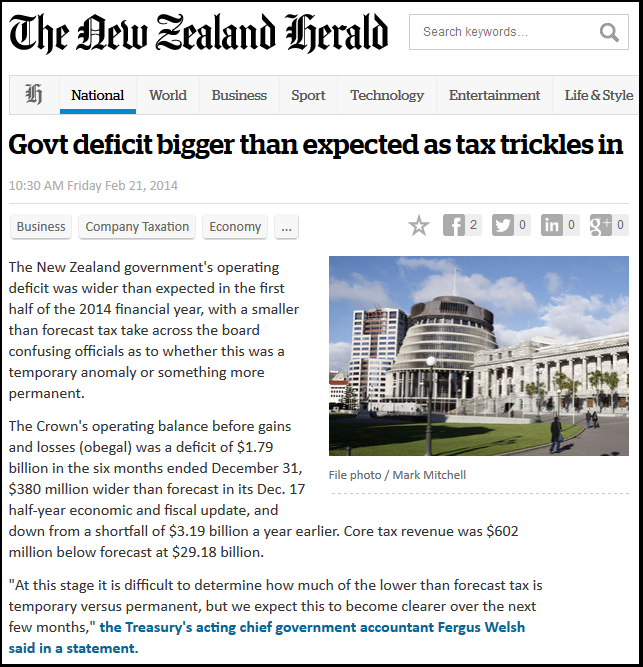 This will be bad news for National. 3. An increase in the OCR will inevitably also mean a higher dollar, as currency speculators rush to buy the Kiwi. Whilst this may be good for importers – it is not so good for exporters. If we cannot pay our way in the world through exports, that will worsen our Balance of Trade; in turn risking our international credit rating; which in turn can impact negatively on the cost of borrowing from off-shore (the lower our credit-rating, the higher interest we pay to borrow, as we are considered a higher lending risk). 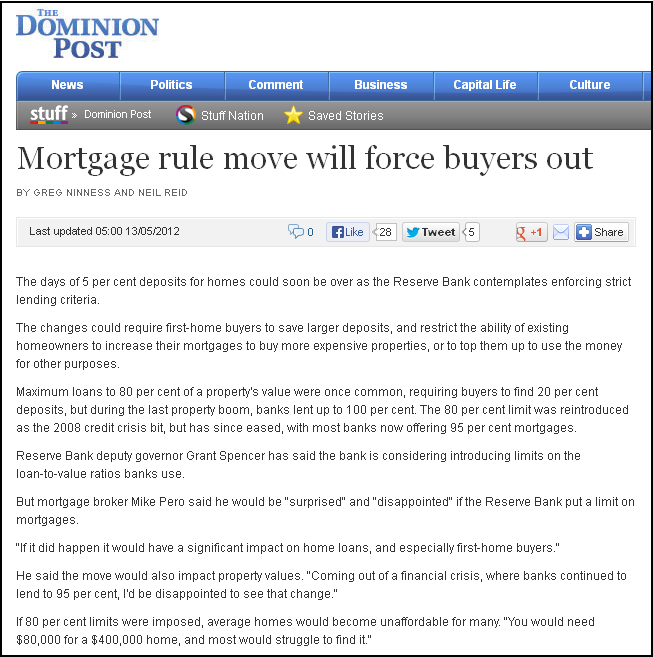 This, too, will affect what we pay for our mortgages and capital for business investment. Less people employed or a reduction on work hours for part-time employees will also result in a lower tax take. Interestingly, the “Economy” category also included the social issue of “Poverty / The gap between the rich and the poor”. 16% believed that “Poverty / The gap between the rich and the poor”was a major factor within the economic situation – a significant sub-set of the 42%. Add that 16% to the 21% considering social issues to be the number one priority, and we see the number of respondents in this category increasing to 37%. That is core Labour/Green/Mana territory. Should National fail in that single-minded obsession, the public will not take kindly to any excuses from Key, English, et al. Not when tax payer’s money has been sprayed around with largesse by way of corporate welfarism. Throwing millions at Rio Tinto, Warner Bros, China Southern Airlines, Canterbury Finance, etc, will be hard to justify when National has to borrow further to balance the books. The concern about government debt is not so much about its level, but the pace at which it is increasing. In June 2008 net government debt was $10 billion, or 5.6 per cent of GDP, and gross debt $31 billon, or 17.2 per cent of GDP. That debt will eventually have to be repaid. Especially if, as some believe, another global financial shock is possible – even inevitable. With a $60 billion dollar debt hanging over our heads, we are not well-placed to weather another global economic shock. 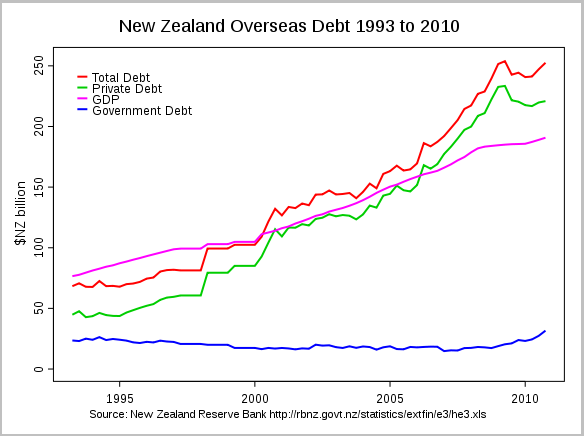 In fact, coupled with private debt, New Zealand is badly exposed in this area (as the OECD stated, in the quote below). The New Zealand economy is beginning to gain some momentum, with post‑earthquake reconstruction, business investment and household spending gathering pace.Risks to growth remain, however, stemming from high private debt levels, weak foreign demand, large external imbalances, volatile terms of trade, a severe drought and an exchange rate that appears overvalued. The main structural challenge will be to create the conditions that encourage resources to shift towards more sustainable sources of prosperity. Incomes per head are well below the OECD average, and productivity growth has been sluggish for a long time. Lifting living standards sustainably and equitably will require structural reforms to improve productivity performance and the quality of human capital. National to fall in the polls; NZ First will cross the 5% threshold; and Labour/Greens/Mana to form the next government, with Peters either sitting on the cross benches, or taking on a ministerial portfolio outside Cabinet. So it’s not the Left that should be worried. 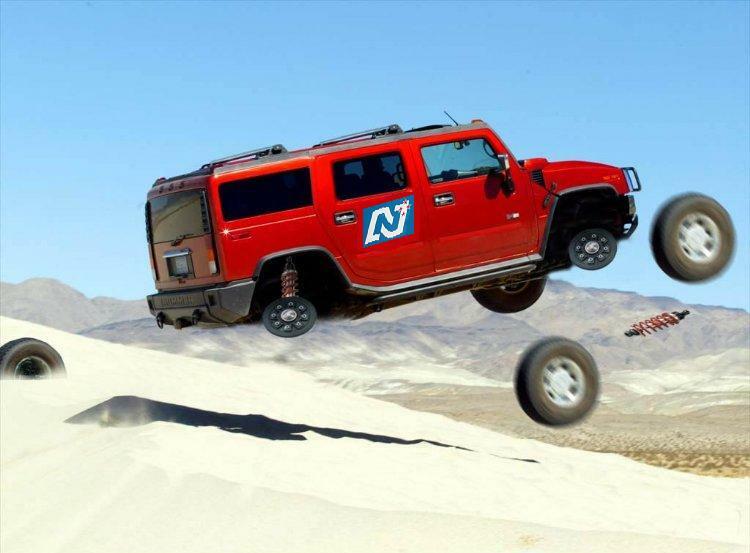 National is on shakier ground than many realise. Fairfax Media: Inequality: Is it growing or not? The Daily Blog: Canaries In A Coal Mine: Has The Daily Blog Poll anticipated Labour’s Collapse? This blogpost was first published on The Daily Blog on 23 February 2014.